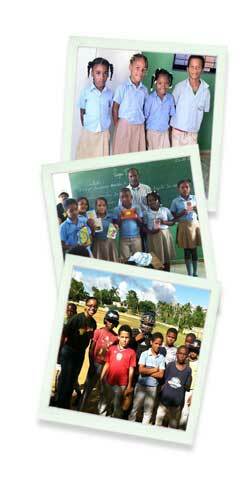 We handle and organize school donations for children in our tour area, which includes most of the Samana Peninsula. These schools serve over 10,000 children from ages 6 through 14 years old. We use larger donated items, such as baseball gloves, as prizes for essay writing contests that we organize within the classrooms.